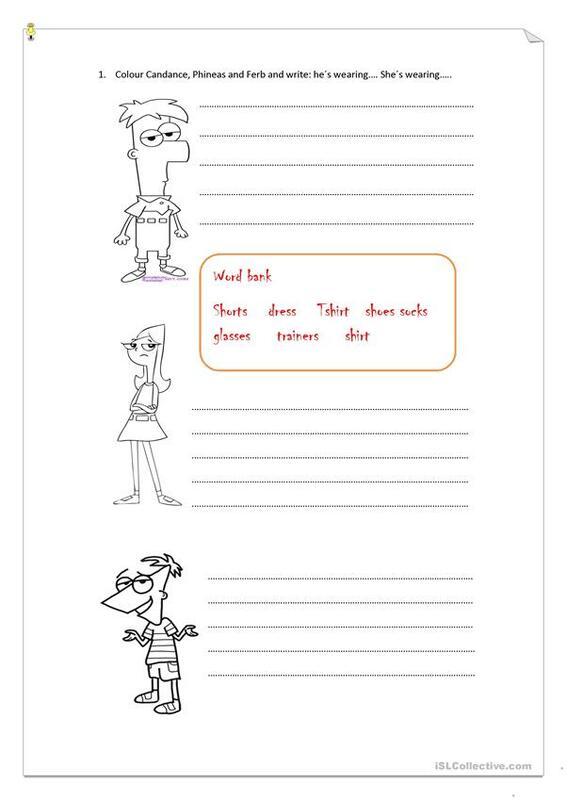 children colour and describe Phineas and Ferb´s clothes. The present downloadable handout was created for high school students, elementary school students, kindergartners and nursery school students and adults at Beginner (pre-A1), Elementary (A1), Pre-intermediate (A2) and Intermediate (B1) level. It is a useful material for consolidating Present simple vs continuous (progressive) tense in English, and is useful for enhancing your learners' Writing skills.